Ryan's musical background has included playing trumpet with the Mesa Symphony, lead trumpet in the ASU Marching Band, Choir Director, Percussionist, Guitarist, and work as an Audio Technician. In addition to these roles, Ryan has been in Chinese Kenpo Karate for over a decade and teaches several classes geared toward children with varying abilities. The classes have been a huge success, and have been very advantageous for creating a social environment that includes exercise, structure, following directions and having fun! Ryan has a degree in Music Therapy from Arizona State University and is a Board Certified Music Therapist. He is also certified as a Speech-Language Pathology Assistant through Northern Arizona University. In addition, he obtained his certification as a Neurologic Music Therapist from Colorado State. Ryan combines his expertise in accounting, finance, and project management to handle day to day tasks in operations and funding management. Ryan has extensive experience in project and facility management. He earned a Bachelor of Science degree in Project Management from Arizona State University. 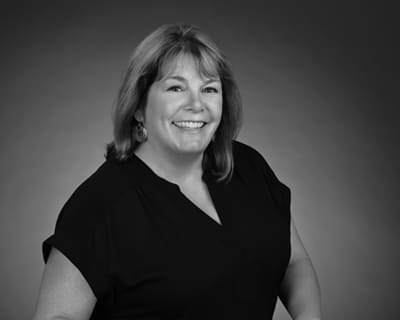 Debbie is originally from Wisconsin and has been a Speech Language Pathologist for over 20 years, with experience in early childhood through the 12th grade settings. She has a BA in Art Education and taught art in Milwaukee for 4 years, then earned her BS and MS from the University of Wisconsin-Madison in Communicative Disorders. She has extensive training in Social Thinking ®, a teaching methodology founded by Michelle Garcia Winner and is implementing a school wide program. As the Manager of Student Affairs, Debbie is passionate about meeting the individual needs of each student and helping them develop their full potential. She feels it is important to listen to the needs of the students and help them learn from their mistakes and fully supports the students as they transition into the real world and adulthood. Mary Beth is originally from Ohio and has been a Director of Marketing for the past 25 years. She has a BBA, Marketing from Cleveland State University. She has vast experience in branding, product development, social media, communications, consumer products, event planning and franchising. Mary Beth signed on as a consultant with Pieceful Solutions Schools in 2015. She was so excited working with the staff and students that she signed on full time in 2016. She states that the most satisfying part of this role is making a difference in the lives of Pieceful Solutions families. She believes that everything we do aligns with our ever so important Mission & Vision. Kathy has always had a passion for working with individuals with special needs. From her first job as a counselor at a day camp for people with special needs to her years working at an Enrichment Center for people with exceptionalities she has dedicated her life to following this path. Kathy moved her children to Arizona from Vermont so that her older son could attend Pieceful Solutions as a freshman. He graduated from the school in May and now is employed as an Instructional Assistant at PS Academy. Kathy graduated Phi Beta Kappa from Trinity College in CT where she double majored in Psychology and Education. She was the President’s Fellow for Education and was a three sport athlete/ three sport captain, earning 12 varsity letters in her collegiate career. She earned Scholar Athlete awards in both her junior and senior years. Before moving to AZ, Kathy was President of the Autism Society of Vermont for seven years and served on numerous boards at Dartmouth Hitchcock Medical Center. Erika is originally from New Mexico where she previously taught for the past 6 years. During her teaching career she focused on 3rd-5th grade inclusion classrooms and managed Individual Learning Plans. Erika earned a Bachelor's in Education from New Mexico State University and completed her Master's in Interdisciplinary Studies focusing on social work and psychology. Currently, Erika is working on her PhD in Health Psychology at Northcentral University. Erika has a passion for working with youth populations and believes everyone is capable of great success. Erika oversees Individual Learning Plans, student accommodations, school-wide testing, and mentors teachers at Pieceful Solutions. Kami founded Pieceful Solutions and Exceptional Expectations acting on her passion to open a school designed specifically for children with autism spectrum disorders and other developmental disabilities. Her exciting journey has lead from the inception of Pieceful Solutions in 2008 in Mesa, AZ and has evolved into two more campuses in Gilbert and Chandler, AZ. Kami and her team created a foundation where the curriculum and environment are solely focused on the special individualized learning needs of each student. She has had a profound impact on the lives of children and their families. Kami earned her Bachelor's degree in Speech and Hearing Science from Arizona State University and Master's Degree in Special Education from Northern Arizona University.